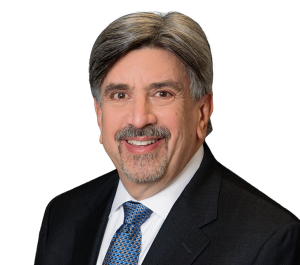 Feldman Shepherd Wohlgelernter Tanner Weinstock Dodig LLP is pleased to announce that Gilbert J. Marquez, Law Firm Administrator, has been named President of the Philadelphia Chapter of the Association of Legal Administrators (ALA-Philadelphia) for a one-year term ending in April 2015. Marquez started out in legal administration in 1980 at Dechert, Price & Rhoads (now Dechert, LLP). In 1985, he co-founded a computer company, Pinkstone & Marquez, Inc., with a fellow Dechert alumna, Mark Pinkstone. They provided computer network services, hardware, software and support to mid-Atlantic region law firms. After 20 years, the opportunity to serve as Administrator at Feldman Shepherd Wohlgelernter Tanner Weinstock & Dodig, a Philadelphia personal injury law firm, presented itself. Marquez has not looked back. A longtime member of both the national organization and local chapter of the Association of Legal Administrators, Marquez is active in the Philadelphia Chapter and most recently served as President-Elect and as an editor of its newsletter. He is an Associate Member of the Philadelphia Bar Association and served on the Practice Technology Committee of the Philadelphia Bar Association’s Law Practice Management Division. With philanthropy as part of the fabric of the Feldman Shepherd law firm, Marquez is a perfect thread. He is a devoted advocate for legal services, having served two terms on the Board of Directors, Executive Committee, and chaired the Communications Committee of Philadelphia VIP (Volunteers for the Indigent), an organization providing legal services to low-income residents of Philadelphia. A more extensive interview of Marquez can be found at http://www.phila-ala.org/spotlight-gilmarquez-internal. The Association of Legal Administrators (ALA) was founded in 1971 to provide support to professionals involved in the management of law firms, corporate legal departments and government legal agencies. ALA’s mission is to improve the quality of management in law firms and other legal services organizations; promote and enhance the competence and professionalism of legal administrators and all members of the management team.